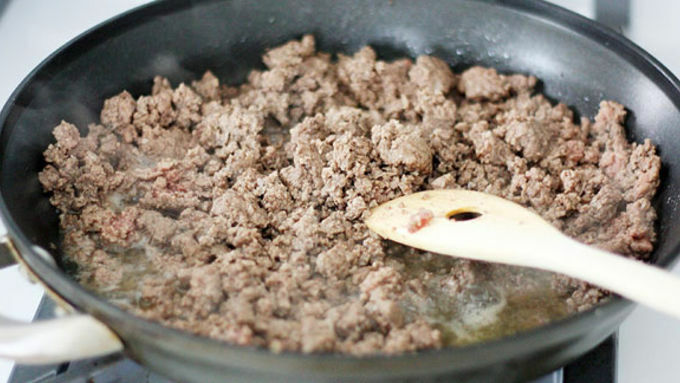 Place beef in a large saucepan over medium heat. Cook until no longer pink. Drain; add beef to a 6-quart slow cooker. 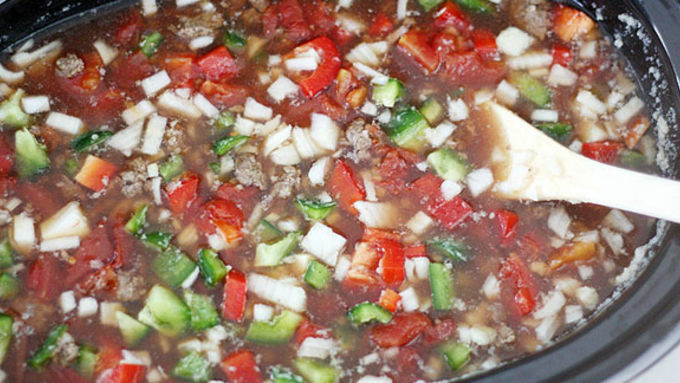 To the slow cooker, add chopped onion, green and red bell pepper, diced tomatoes, brown sugar, Worcestershire sauce, minced garlic and salt and pepper to taste. Top with broth. Stir. Cover and cook on HIGH 4 hours until peppers and onions are tender. 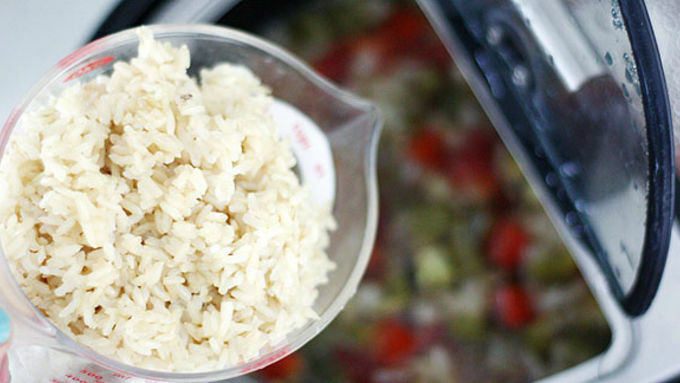 30 minutes before cook time is up, stir in cooked rice. To serve, cut the tops off each yellow bell pepper and remove seeds, being careful to keep the bottom of each pepper intact. Place peppers cut-side up on individual plates. Spoon soup into bell pepper. 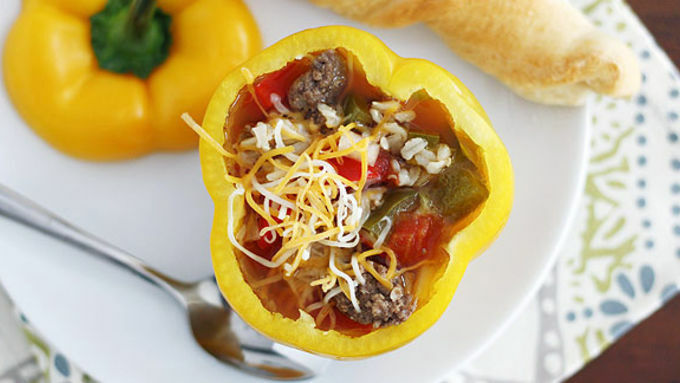 All the ingredients from classic stuffed peppers are slow-cooked into soup, then ladled into fresh bell-pepper "bowls." Things I need to do more often: 1) Make Slow Cooker Stuffed Bell Pepper Soup. 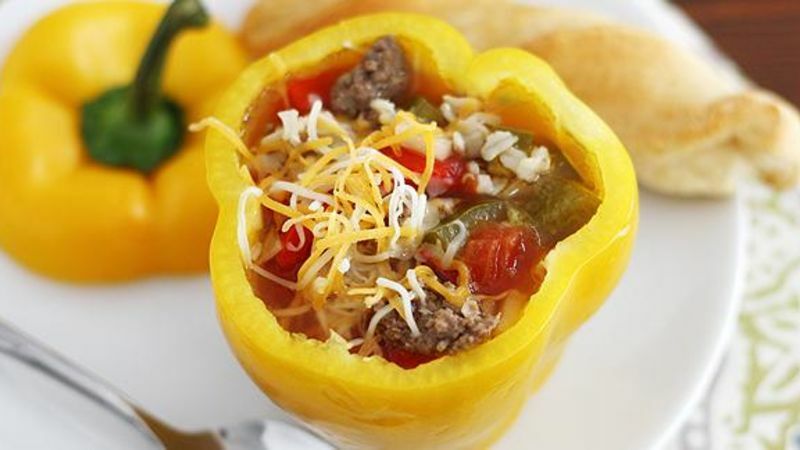 2) Stuff soup inside a bell pepper. Seriously, you guys. If ever there was a better way to avoid doing dishes, it’s using a pepper as a soup bowl. And what better soup to do so with than a healthy, savory, slow-cooked, stuffed bell pepper-inspired one? This soup is chock-full of good-for-you ingredients, totally fits the “set it and forget it” bill and tastes pretty darn close to its namesake. As an added bonus, make some Pillsbury breadsticks to serve on the side!